Sonic clarity, even coverage, and versatile mixing provisions elevate performances. Bowen Gardens, Camberwell, Australia… Located in the Eastern suburb of Melbourne, Victoria, the annual Bowen Gardens Multicultural Community Carols event during the 2017 Holiday Season provided a wide range of performances encompassing solo artists with piano accompaniment, acapella vocal groups, contemporary instrumental ensembles, along with spoken word Christmas readings. As one of the area’s most anticipated and popular events, this past year’s performances attracted a good 800 people. To ensure clear, consistent coverage throughout the audience area along with versatile mixing provisions necessary for the various performance groups, loudspeakers and mixing technology drawn from the catalog of Baton Rouge, LA-based PreSonus Audio Electronics (www.presonus.com) were utilized. 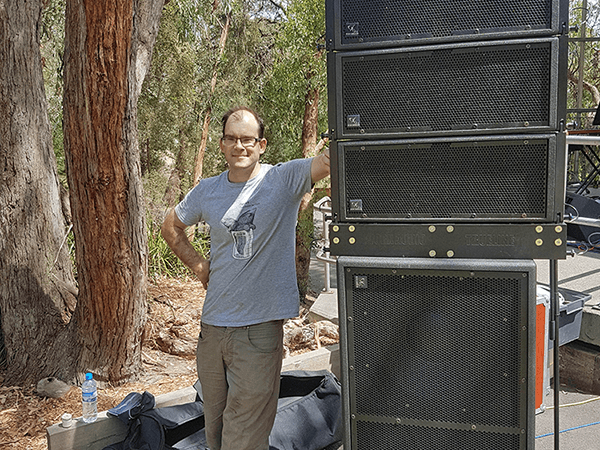 ABP Audio of Melbourne, Victoria, Australia, an AV design / build and event production services firm, was contracted to handle the location sound services for the recent music extravaganza. ABP Manager Anthony Prescott, who serves as the company’s technical contact and handles system design engineering among his various responsibilities, discussed the project and his reasons for deploying both PreSonus’ WorxAudio loudspeakers as well as StudioLive 32 and StudioLive 32R digital mixing consoles from the company’s StudioLive Series III product line. To learn more about ABP Audio, visit the company online at https://abpaudio.com.au/.